Your responsibility: The party must treat the property, its furniture, fittings, utensils & other facilities with respect. Any loss or damage must be reported immediately to the Management Company. The applicant must make good or pay for any loss, damage or breakage caused during your rental period. The owners reserve the right to withhold any monies from the security bond including any additional costs over and above the security bond to pay for any loss or damage caused to the property or its contents by any member of the party. The party leader must sign the booking form accepting the conditions on behalf of all persons named on the booking form, including those substituted or added by agreed amendment of the booking. A contract exists when you have paid a deposit and we have accepted and confirmed your booking in writing. The party leader accepts these conditions on behalf all members of the party. Only those persons named on the booking form are entitled & allowed to use the rental property, day or night and for whatever reason identified. Arrival at the property (unless otherwise advised to you in writing) your check in time will be after 4:00pm local time. The property must be vacated by 10:00am on the day of departure. All Late checkouts will be charged a full day's rental unless agreed prior with the owner. Early check-in: These are sometimes accommodated by prior arrangement at an additional fee of $60.00 will be charged. 1.Cancellation of more than 8 weeks prior to the arrival date incurs loss of deposit + 33% of the remaining unpaid rental charges. 2.Cancellation between 4 and 8 week prior to the arrival date incurs loss of deposit + 66% of the remaining unpaid rental charges. We strongly recommend guests take out Travel Insurance to cover the problems/reasons beyond your control including cancellations that will be covered by your Travel Insurance. However, alterations to any booking dates (where possible) are subject to £35 or $50.00 administration fee. Deposit & Final Balance: The deposit and final balance is non-refundable so we strongly recommend the purchasing of Travel Protection that will cover the Trip Cancellation and or any Interruption. The final balance payment is due in full 8 weeks prior to your check in date. Force Majeure: The owners of the property or their servants or agents will not be liable for & no refunds will be issued for any cancellation, loss or delay occasioned by any of the following: Strikes, Riots, Political Unrest, Hostilities, Weather, War or threat of war, Terrorist Activity, Closure of Airports, Cancelled flights or Transportation Issues or any other event what so ever beyond the control of the Owners, Trevor & Maureen Smith. Therefore, we strongly recommend that guests take out full Travel Insurance to cover such liabilities. Security Bond: A security bond of £300 or $350.00 will be placed & held approx. two weeks prior to arrival against a cheque or active credit card on behalf of the owners Trevor & Maureen Smith or our management company, if you use the credit card facility. Note however, that these sums are not a limiting factor to loss, breakages, late check outs, above normal cleaning, trash removal or damage occasioned by the use of the property or caused to the property by the parties to this agreement. The security bond is not limited in any way to the figures shown should the loss, breakages, late check outs, above normal cleaning, trash removal or damage etc. caused to the property & its contents by the parties to this agreement be greater than £300 or $350.00 then you agree that you will be wholly liable for the total cost of breakages, loss, repairs, replacements etc. and you agree that the owner or management company may charge the credit card provided for the security bond for the entire total cost. Where there are insufficient funds available on your credit card you agree to forward ASAP the outstanding funds within 7 days. Our management company will be sole arbitrators on all causes/costs of breakages, loss, repairs, replacements, extra cleaning, trash removal, damages etc. Swimming pool: The owners and the owner's agents or management company, do not accept any liability for injury howsoever caused as a result of the use of the pool. Guests are specifically requested NOT TO ALLOW UNSUPERVISED CHILDREN TO USE THE POOL, which is around 6 feet deep at the deepest part. Any accidents that arise where unsupervised children can be shown to be the case will be the sole responsibility of the parents. Please note that villas with tiled floors can be slippery when wet, take extra care when entering the home especially from the pool area. When a vacation home is equipped with a pool safety fence this must be used at all times. Where a vacation home is equipped with a pool door/window alarm these must be used at all times. The owners Trevor and Maureen Smith do not accept any liability howsoever for any incident caused due to incorrect use of these pool safety items. Personal Property: The owner, their agent or management company will not be liable for any loss, breakages or damage of personal property, personal injury in the home or on the property what so ever. It is highly recommended that guests have appropriate travel/holiday insurance in force for the period of the vacation. Cleaning: The rate paid includes cleaning of the property prior to your arrival and after you have departed only. In the event you require cleaning any time during your stay beside that of which has been stated in these conditions, a special request must be made and an additional fee must be paid. Although the property will be cleaned after your departure it must still be left in an orderly state, linens & towels should be placed in the laundry room (a wash started only if possible), all trash disposed of correctly not left inside the property, all used food items removed from the property on check out, any moved furniture returned to its original location, pool deck left in a tidy condition with pool safety fence in place and all kitchen utensils should be washed. Should the property require above the normal amount of cleaning or there is excess trash left in or outside the vacation home, then the owners, their booking agent or management company reserve the right to withhold any monies from the security bond to pay the extra costs & extra work involved. Our management company will be sole arbitrators on all causes of damage, breakages or loss and to what is deemed to above the normal amount of cleaning or excess trash disposal or any other extra work involved in bring the vacation home back to the owners vacation home rental standards. Problems/Complaints that have not been resolved: All problems/complaints related to the accommodation/management company must be made in writing to our management company within 24 hours of the problem arising. Copy if necessary via email to the owner TSmith9892@gmail.com. In response: We FVHR’s will endeavor to put things right as soon as practicably possible, unless there is a valid reason not to do so. For example: a part requirement or problem that entails scheduling of a specialist contractor. We will not consider the owners, their agents or management company liable for any compliant that was not initially registered in writing to our management company in Florida. Within the first 24 hours of occupancy. Construction: The applicant is hereby made aware that on many Estates there will be other homes under construction. The owners, their agents or management company will not accept liability for any complaints arising from construction. Disturbances: The owner or management Company will not be liable for any loss or delay caused by conditions over which they have no control. The owner or management Company will not be liable for any loss due to noise or disturbance from anywhere within the vicinity of the rental property. Should guests have a compliant ref. noise emanating from adjacent properties the local Sheriff Dept. should informed immediately of the problem, guests should register a complaint and should follow instructions given to them by law enforcement agencies. Should you the guests or any member of the party be the cause of noise or disturbances to others whilst using the rental property, this will contravene the terms & conditions of this contract and the guests will be evicted from the property without recompense or refund. All guests must observe the Quiet Time when using the vacation home this is between 9:00 p.m. to 8:00 a.m. next day, unless otherwise indicated at the home or Sub-Division. Please be aware that the community is both a holiday and residential home community and although we do expect you to enjoy yourself whilst using the facilities, we ask that you please keep noise levels to a minimum when entering and leaving the property. This is also applicable to the pool and lanai areas. Climate: The applicant is hereby made aware that, as Florida is a tropical it is the home of many insects etc. All homes are treated on a regular basis to repel such unwanted visitors, but inevitably they occasionally find their way inside properties from time to time. They are best eradicated by spraying with an appropriate product. Guests should be aware that special sprays are available within the villa for emergencies. Any other problems you should inform our management company and we will endeavor to have a qualified pest control company attend the property within 48 Hours. The Owners do not accept liability and will not issue any refunds due to any insect/bug related problems. Pool Heat: Pool Heat is charged as an optional extra. We do not guarantee pool temperatures. The standard for heated pool water temperature is between 80 & 85F. The pool will not be heated to a temperature over and above 85F. Where provided guests are always requested to use the pool blanket overnight & whenever the pool is not in use. Please note electric pool heaters do not operate when the external temperature drops below 55F. If there is a mechanical failure of the pool heater during your stay and the pool cannot be heated to the required range, you will be refunded the pool heat for the rest of your stay or until it is working (whichever is shorter). This is the sole extend off our liability; no other refunds will be issued. We recommend that pool heat is chosen (if you intend to use the pool) between late November and May. All pools can be heated at extra cost. If you think you may want to heat the pool please ask if the property has pool-heating facilities at the time of reservation. Pool Spa's: Guests should note that a spa pool (or raised spa) is not a hot-tub. The temperature of a spa pool is typically set at the same level as the main pool. Guests should not expect Hot-Tub like temperatures to be available on spa pools. Pool heat is present to the desired temperature between 80 & 85F for that particular property and cannot be adjusted. Sometimes a pool blanket is provided on heated pools, which should cover the pool when not in use to retain the heat (especially overnight). Only those persons identified on the booking form are authorised to use and enter the property. The Owners must be made aware of any changes to the original names listed on the booking form in writing as soon as possible. This may also incur additional administration charges. If for any reason, a person or persons are found to be staying within the property that are not shown on the Booking Form the owners reserve the right to terminate the booking with immediately effect and evict all the persons staying at the villa. Guests undertake not to exceed the maximums numbers shown below and understand that any violation of this Term and Condition will cause the immediate eviction of all those found within the property, without refund or recompense. Occupancy is defined as any overnight guest in or at the vacation homes premises & pool area or garage area. Warning: The villa has a CCTV monitoring system to check occupancy levels of the villa, at all times day or night. Pets: Sorry, no pets are allowed on the property. Should guests be found with pets on the property this will result in immediate eviction from the property without refund or recompense. In addition extra charges against the security bond may apply for additional cleaning, damage etc. Smoking: No smoking is permitted inside the vacation home for whatever reason. Should the vacation home smell of smoke when our Cleaning Crew arrive you will immediately forfeit your entire security bond with no reimbursement. In addition there will be extra charges to the security bond should cigarette butts or ends have to move cleaned up from anywhere on the property premises i.e. pool deck, sidewalks, driveways & gardens. Parking: Please do not park on the grass areas to the sides of the driveway as this will damage the lawn & plastic irrigation pipes & sprinklers which are located directly beneath the grass at shallow level. Extra charges against the security bond will be charged for damage to lawn areas or irrigation pipework etc. Glass in Pool/Spa Area: Glass when broken is dangerous, impossible to locate and therefore remove from your pool. Please only use plastic in the pool/lanai areas. Never use glass products on the pool & spa areas. Information Folder: A vacation home Information Folder is located in your rental home; please take time to read the folder. The owner, management company or agents ask that you adhere to the rules & regulations set out within the information folder. Not adhering to the rules & regulations set out in this folder will contravene the terms & conditions of this contract. Any contravention of these terms & conditions &/or the rules and regulations set out in the vacation home information folder will result in the cancellation of the vacation home rental without any refund or recompense. Our management company provides information and advice in the Vacation Home Information Folder to the guests in an advisory capacity only, with no guarantee or promise of security, even where the guests make use of any advice given by owner, agents, management company or its representatives. In the event that property of the guests is lost or stolen, the guest should advise the appropriate authority first, and then the Owners of the lost or stolen items. The owners or management company accepts no liability for lost or stolen items. Rental Basis: All Vacation Home rentals offered for short-term rental through the owners or their management company is provided on a self-catering basis. Our management company provides complimentary starter soap, toilet paper, and trash bags. Once these items are used, it is the guest's responsibility to replenish them. The guests may elect to order groceries and supplies in advance from our Management Company but there will be an extra charge for the extra groceries & supplies. Access to Vacation Home: The guests agree To Permit the Owner or his Management Company or their Agents access for repairs to the property to carry out any maintenance or protect the property if necessary. Where possible our management company will endeavour to inform the guests of any proposed access to the home but in some cases it may be impractical to do so or it may not be possible to contact guests. No Subletting: The guests agree not to sublet or share the property except with persons nominated on the Booking Form. Age Limit: You must be 21 years of age or older to rent any vacation home and agree and sign the terms & conditions for rental with the owners or management company. We sometimes ask for proof of age before entry is allowed. All persons under the age of 21 years must be accompanied by an adult being over the age of 21 years of age. Emergency Problems: The owner and management company agree to provide a prompt response to remedy problems that, at the sole discretion of the management company constitute emergencies, which would affect the safety of the guests. Any problems arising during the Rental Period at the vacation home that does not constitute an emergency as solely determined by the management company will be remedied during or after the Rental Period, based on the severity of the problem, at the sole discretion of the management company makes all reasonable efforts to maintain each property and its equipment in good working order. Wherever commercially possible, repairs are performed within 24 hours, but sometimes delays are inevitable. No refunds are granted for malfunctioning mechanical or electrical equipment including (but not limited to): inoperable appliances, air-conditioning units, pools and/or spas. No refunds will be given for inclement weather, early departure, utility service interruption, construction, or maintenance issues, civil unrest or war. Additionally, there are no refunds for faulty recording or playback equipment, TVs, audio, telecoms, cable reception, computer equipment or Internet access. Child Supervision: The guests must ensure that Children are supervised at all times. It is the policy of the Owners and their Agents that all Children under the age of 21 years must NOT be left in rental property un-supervised at any time during the rental period. Use of Property: Use of the Accommodation and Amenities is entirely at the user's risk, and no responsibility can be accepted by the owners of the property or management company for injury, or for loss or damage to the user, visitors or their belongings, however caused. Baggage and personal belongings are at the Guest's risk at all times, and no responsibility can be accepted for loss or damage to any vehicle or its contents. The Guest is strongly advised to take out full and adequate travel insurance to cover all members of the party. 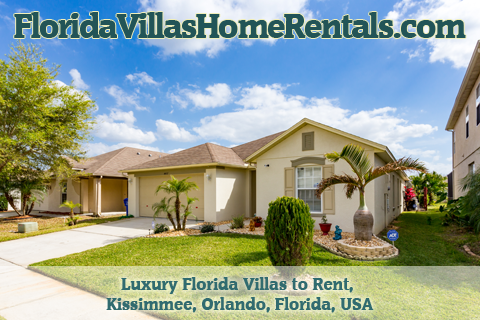 All users of the vacation home must adhere to all the Florida & Federal laws when in and around the vacation home, any breach of these laws will result in the guests contravening the terms of this rental contract and may result in eviction without any recompense or refund from the vacation home. Barbeque/Grills: We operate under Florida Hotel Laws that forbids the use of Barbeque/Grill on the property for whatever reason due to Fatal Fires caused by their use. This includes the garage, pool area and front porch areas. When using a BBQ or grill it must be used outside the pool screen and at least 10ft away from the pool screen and the vacation home. Failure to adhere to this rule/condition could be the immediately forfeit your entire security bond with no reimbursement. Service Calls: Service Calls to the Home – Our office is open from 9:00 a.m. until 5:00 p.m. Monday to Friday, 9:00am to 5:00pm Saturday and our office is closed on Sundays. Non-emergency service or maintenance calls to come out to the property outside of these hours will incur a $50.00 charge against your security bond. As the management company reserves the right to refuse service to anyone it considers an undesirable guest. Home Availability: Should the vacation home become unavailable due to circumstances beyond the control of the Owner or management company, we reserve the right to substitute the reserved home with a comparable accommodation. In very rare Instances, circumstances may dictate that the Owner must cancel the contract prior to the guest taking occupancy of the property. The Owner reserves this right of cancellation and will refund all monies received from the Guest in this circumstance. Vacation Home Keys: When guests are not present at the vacation home the vacation home keys must be left inside the lockbox near the front door of the home at all times. This does not apply to vacation homes with electronic locks. Should the vacation home key be lost there will be a $150.00 charge to replace the vacation home locks. Should the vacation home key be lost and the Owner/ Management Company are required to call out to the vacation home to grant access there will be a minimum $150.00 call out fee. Home Security: Guests are solely responsible for ensuring that the vacation home rental is secured at all times. When leaving the vacation home for any period of time guests must ensure that all doors and windows are locked. Should items belonging to the vacation home be taken as a result of the guests failing to secure the vacation home adequately, then the guests will be liable for the replacement cost in full for any items taken from the home. Contract Jurisdiction: This Contract is subject to and shall be construed in accordance with the laws of the UK, United Kingdom courts. Sign to state and agree that I have read and fully understand these terms and will comply with the above stated terms and conditions. Compliance: Failure to comply with any of the said terms herein will, at the sole discretion of the Owners and management company, result in the eviction of the Guest or Guests from the Property, without recompense, compensation or refund. Vacation Rental Ref#: 3 bedroom or 4 bedroom villas as shown on our web sites…………………………………………………. 11 Dartree Close, Darfield, Barnsley, South Yorkshire, S73 9NR, UK. To Telephone from the United States or Canada: 44-(0)1226-270617. Please remember the Time difference of 5 hours between the US or Canada and UK.